The Dyson Airwrap Smooth & Control Styler is engineered to smooth and control frizz-prone hair. It comes with 1.2-inch and 1.6-inch barrels for beachy curls and bouncy waves, and the Firm smoothing brush to create a straighter style with less frizz and fewer flyaways. The Dyson Airwrap Smooth + Control styler has Coanda air technology which allows you to curl, wave, smooth and dry hair without extreme heat. Due to high demand of Dyson Airwrap Smooth + Control Styler, it is out of stock everywhere. Here is a pre-order/in stock/availability tracker for Dyson Airwrap Complete Styler. The Dyson Airwrap Volume + Shape Styler is engineered to add volume and shape to fine, flat hair. Featuring Coanda air styling and propelled by the Dyson digital motor, users can curl, wave, smooth and dry with no extreme heat. Due to high demand of Dyson Airwrap Volume + Shape Styler, it is out of stock everywhere. Here is a pre-order/in stock/availability tracker for Dyson Airwrap Volume + Shape Styler. The Dyson Airwrap is engineered for multiple hair types and styles. This set comes with 1.2-inch and 1.6-inch barrels to curl and wave hair, and brushes to smooth and volumize, allowing you to dry and style simultaneously. 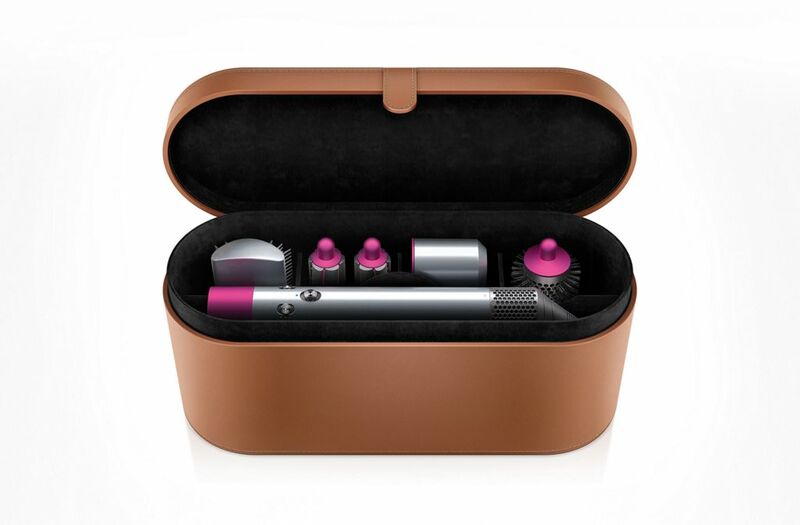 The Dyson Airwrap has Coanda air technology which allows you to curl, wave, smooth and dry hair without extreme heat. Due to high demand of Dyson Airwrap, it is sold out every time very fast, currently out of stock everywhere. Here is a pre-order/in stock/availability tracker for Dyson Airwrap Styler.